The freshest, fruitiest cake we could dream up! Layers of Strawberry sponge, Black Currant preserves, Local Saskatoon Berry filling, Raspberry Buttercream and rich White Chocolate Mousse make this cake the stuff of sweet fantasies! Our Famous Jamaican Banana Cake, baked with Coconut, Brown Sugar and Rum meets layers of Malibu cream cheese filling and crunchy bits of Coconut Brittle! You’ll get your groove back with this Tempting Tropical Tease! Note: Each Tier can be a Different Combination of Sponge Flavour and Filling Flavour. The Coating Icing (ie. Buttercream or Fondant) covers over all types of cakes the same way, so from the outside you do not see the variation of Sponge flavours and Fillings. Toffee Chip (contains almonds), Lemon (with or without Poppyseed), Vanilla Confetti, Strawberry, Almond, Raspberry, Orange, Coconut. Vanilla Buttercream, Chocolate Buttercream,Vanilla Cream Cheese,White Chocolate Mousse,Chocolate Mousse, Peanut Butter Cream Cheese, Strawberry Buttercream, Raspberry Buttercream,Orange Creamsicle Buttercream, Amaretto Truffle, Mocca Buttercream, Blue Raspberry Buttercream, Hazelnut Buttercream, Chocolate Cream Cheese, Caramel Buttercream. Buttercream is typically vanilla(creamy white tone) or if you’d like a brown exterior, we can prepare a chocolate buttercream to coat your cake. We do not tint our buttercream any other colour as food colouring can react with the butter and often turn colour as they sit. If Fondant is desired, it can be left its natural white tone, or can be tinted to any colour desired. If we are tinting the fondant for an all-over-colour we require a colour swatch to match to. Even still, some small variation from the desired colour may occur as food is not a perfect science and humidity + room temperature can cause unforeseen changes. Take your cake to the next level by displaying it one of our gorgeous cake pedestals. Cupcakes begin in price at $2.25 each. 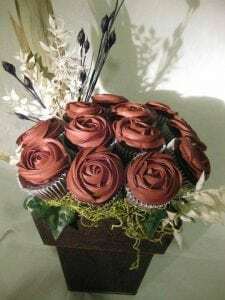 If you would like your cupcakes to have a fancy finish which requires more attention than a standard piped icing, price may go up slightly, rarely ever more than $3.00 each. 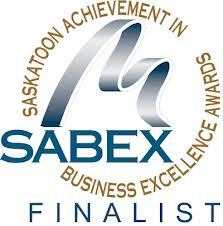 Please consider emailing us a picture (or 2 or 3!) of cupcakes designs you have in mind. We have many cupcake stands that are available for rent. 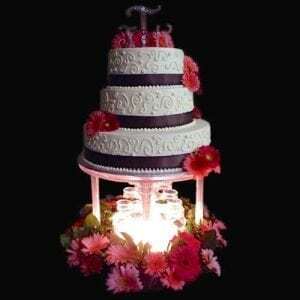 The more intricate the desired design, the more costly the cake. *Rolled Fondant Finished Cakes are an additional $100.00, GST of 5% is added to all cakes. PLEASE NOTE: All ribbons, flowers and any other decorative items (i.e. cake toppers, monograms) are to be provided by client. Fresh Flowers are to be received by noon the day before the cake is required. All other items are to be received no earlier than two (2) weeks in advance and no later than two (2) days ahead of date of order. Delivery is available and recommended for cakes 3 tiers and larger. 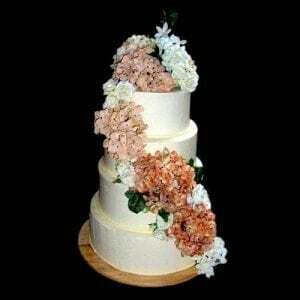 We can deliver 2-tiered cakes, but these are easily packed for pick up as well. Cakes can be packaged for driving up to 5 hours away. A vehicle with a flat base surface is REQUIRED for optimum transportation – the back seat of your car is not a good option! **We reserve the right to choose not to deliver more than 15 km out of town on summer weekends, due to high volumes of deliveries. The Servings Chart is based on slices substantial enough in size for use as your main dessert. This guideline does not guarantee servings per cake, as cutting size is out of our control. 8. Time of Delivery (we usually deliver mid-afternoon for a standard wedding reception with a cocktail hour that starts at 5 or 6 PM) Please specify if it is otherwise. 10. 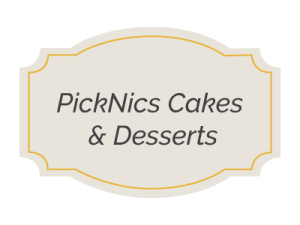 Sampling Option: If you would like to have some cakes to sample, please inform us two days in advance of desired Pick Up Time. Please choose a maximum of 3 Sponge flavours and 3 Filling Flavours. We will have them ready for you to pick up for your desired date and time. There is no cost to sampling. If you prefer a consultation here in our store, please email or call to book. Consultations usually last half an hour or less, if you have the majority of the questions above answered. Cake Samples: If you would like to have some cakes to sample at this time, please inform us two days in advance. Please choose a maximum of 3 Sponge flavours and 3 Filling Flavours. We will have them ready for your sampling at this time. There is no cost to sampling. We require a credit card number to book your wedding cake and secure the date. While a deposit is not required, a cancellation fee of $100.00 will apply (on credit card provided) if the cancellation is within 6 months of the wedding date. If the cancellation is within 14 days of the wedding date, the full amount, as quoted, will be charged. We can only manage a limited number of cakes on any one weekend, so please book early for summer weddings, to avoid disappointment.